We’re beginning a new chapter with Firebase. Over the past few months, we’ve been working hard to bring the best of the Fabric and Firebase platforms together in a thoughtful way with the goal of giving you one central place to build, improve, and grow your apps. While we’ve kept you informed about our progress at events like Google I/O and Firebase Dev Summit, we wanted to take our commitment to transparency further so you can better prepare. You can begin migrating to Firebase. 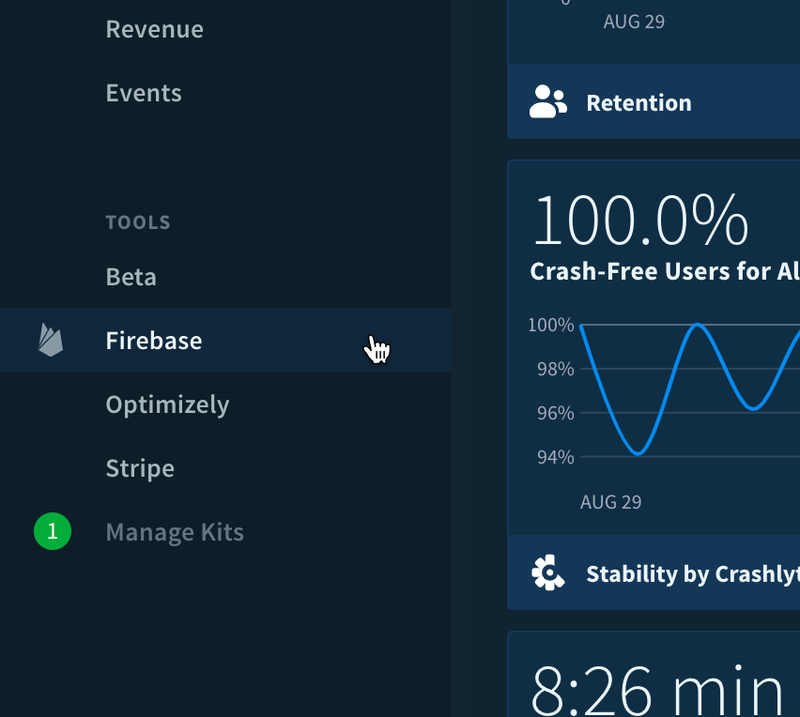 We’ve integrated the tools and features you love about Fabric (including our best-in-class crash reporter, Crashlytics) right into the Firebase console, and made many improvements to them capitalizing on Firebase’s strengths. We’re unveiling our migration roadmap. This roadmap is designed to give you full visibility into what we’re building, what we plan to launch next, and what actions we recommend you take. We invite you to begin the journey to Firebase, your upgraded home, and check out our plans for the future! Firebase is Google’s mobile app development platform that helps you across the entire lifecycle of your app, with smart analytics embedded throughout. Now, it also includes your favorite Fabric tools. For example, Crashlytics is now available in Firebase, where you can take advantage of new integrations that allow you to export your crash data for custom analysis in BigQuery, trigger workflows, and get insights into the events that led up to a crash. We’ve also evolved Digits into Firebase phone authentication so you can continue to authenticate users without issue. We’ve even added realtime metrics to the latest release section in Firebase, meaning you can continue to monitor your latest builds with confidence. 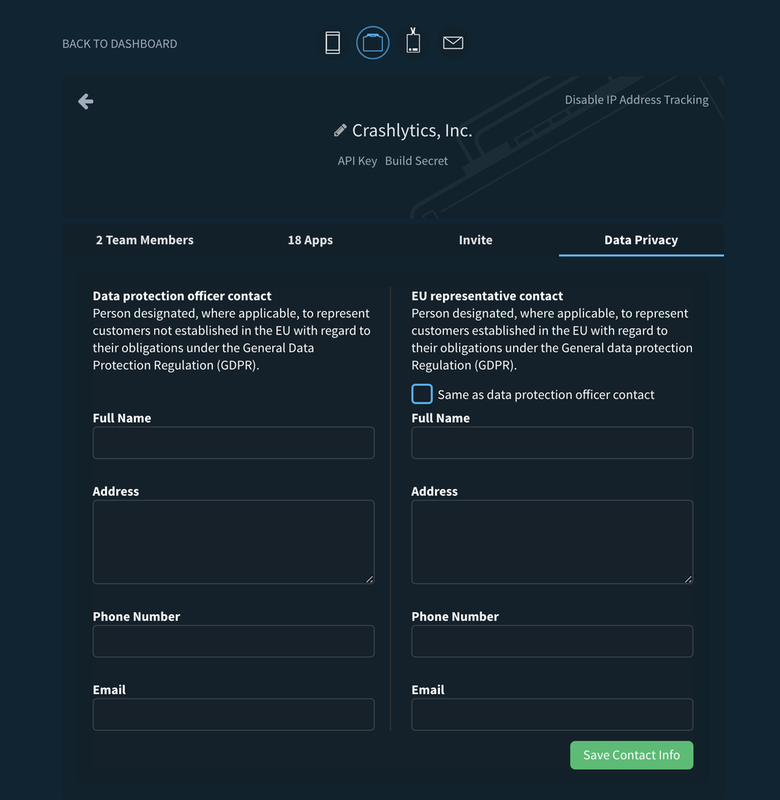 In the coming months, we’ll be bringing the functionality of Crashlytics Beta, the service you’ve used to distribute pre-release iOS and Android apps, to Firebase. We’ll keep you posted on our progress through the migration roadmap! Not only does Firebase include the best of Fabric, it also offers you brand new capabilities that were not previously available on our platform. With Firebase, you can harness the power of machine learning, test your app on a variety of devices hosted on Google’s cloud, and group your users by their predicted behavior! Firebase, like Fabric, makes app development faster, easier, and painless. All Fabric customers can now start to migrate their app and teams to Firebase by going to their Fabric dashboard and clicking on the Firebase icon in the left-hand navigation. We recommend you begin this process soon so you can take advantage of all of the great things we are building for you over in Firebase! Note: If you previously linked Answers to Firebase, you’ve already done part of the work. To fully migrate to Firebase, you’ll still need to complete this linking flow. 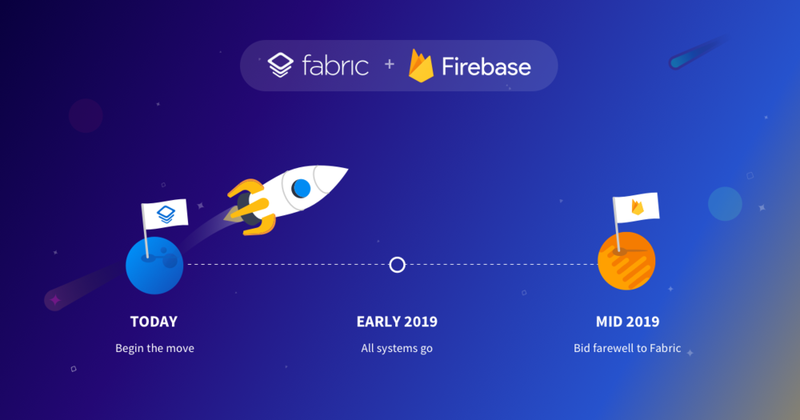 We’ll continue to support Fabric until the end of 2019, to give you plenty of time to migrate your apps and business to Firebase - but please plan your transition accordingly. To stay up to date on the migration, check out our roadmap periodically, which sheds light on which products we’ve implemented in Firebase and what’s next. WWDC has drawn to a close and we wanted to share the photos of our party on the night of June 4th. It was great to meet and celebrate app development with many of you, including talented developers from Slack, Adidas, Coinbase, DJI and many more. We were blown away by your enthusiasm to come party with us! Since we can’t travel back in time, here are some highlights so you can relive the night of fun. We were excited to roll out the red carpet for our guests at the entrance. Our friendly hosts greeted everyone at the door, and we had food+drinks ready for you as soon as you finished checking in. To give The GlassHouse a homey feel, we designed the ambience of our event to resemble the look and feel of Firebase. Throughout the space, we added lighting in Firebase’s colors, custom pillows, video backdrop and more. A variety of passed hors d'oeuvre (with vegan options) were served throughout the night. We also designed three developer cocktails for the night: the Moscow ML, Old Functioned and Magarealtime. Thank you to all those who submitted creative names for our cocktails and congrats to the winners! The glowing selfie-station with nifty LED sunglasses was a favorite at this year's party. We’re glad that many of you loved the setup, took pictures, and shared them on social media! We also had fun playing our AppShip arcade game with many of you. Some of our hosts lost their voice cheering everyone on for that one, final goal of the night. And if you scored an own-goal, you weren't the only one: over half of the balls that went into the goal were last touched by someone from their own team. A party wouldn’t be complete without some great music and dancing. This year, we had a bigger dance floor with a giant disco ball as well as a talented DJ as usual. Those who didn’t feel like dancing and just wanted to relax, could do so at the outdoor terrace where you could get some fresh air and continue mingling. No party can last forever, and goodbyes are always hard. This year, Firebase branded travel mugs and bottle openers were waiting to go home with guests right at the door. Thank you to all those who joined us to celebrate app development - we were glad to share all the laughter with you. Check out our full photo album. Heading to WWDC this year? 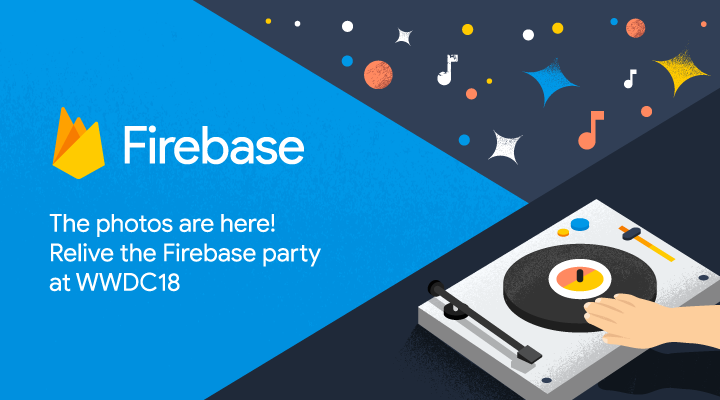 Join us at the Firebase party on June 4th as we celebrate with the top iOS developers from around the world. We’re excited to once again throw a party for our community at this year’s conference. If you’re going to be in town, join us for a night to mingle with other developers, meet engineers and product leads from the Fabric+Firebase team, and relax after the first day of WWDC. We can’t wait to see you and toast to another exciting summer of mobile development. On May 25th, the most significant piece of European data protection legislation in 20 years comes into effect: the General Data Protection Regulation, or GDPR. We've also collected the answers to the questions you may need for your own compliance process, including information on the privacy and security certifications we have, the types of end-user information we process, and more. To learn more, see our new support guides for iOS or Android!